Establish a useful and achievable foundation to raise money in order to a) finance clinical research and b) carry out AVAC’s objectives as listed above. 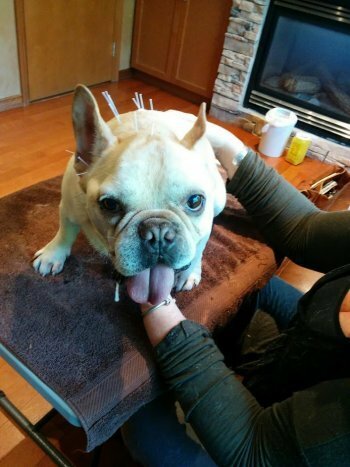 The Association of Veterinary Acupuncturists of Canada was founded on May 14, 1998 by Dr. Boudewijn Claeys, Dr. Helaine Haltrecht, and Dr. Geneviève Rosseel. It is incorporated under the law of the companies of Canada as a not-for-profit organization. The first meeting of the Association of Veterinary Acupuncturists of Canada by its founders took place on June 19, 1998. The first Annual General Meeting was on July 28, 1999 at the Palliser Hotel in Calgary Alberta, at which point Dr. Dave Bell, Dr. Marlene Smith-Schalkwijk, and Dr. Jennifer Bishop joined the Board of Directors. Dr. Claeys acted as the first President of AVAC for four years. Other Past Presidents include Dr. Barbara Veale, Dr. Elaine Murphy, Dr. Wanda Vockeroth, Dr. Mirek Hamish, and Dr. Myriam Audet. Dr. Marlene Smith-Schalkwijk was the first Education Committee Chair and Scientific Meeting Coordinator for eight years, until Dr. Elena Petrali took her place in 2007. Dr. Rona Sherebrin has been the Education Committee Chairman since 2011. The first basic acupuncture course was offered in Toronto in 1999. Since the beginning of AVAC, five basic courses have been offered every two to three years throughout Eastern and Western Canada, enabling veterinary acupuncturists to expand their knowledge base and build valuable professional development skills. AVAC currently has 112 active and associate members throughout Canada, six Board of Directors, six Regional Delegates, and five IVAS House of Delegates Representatives. Administrative tasks are currently shared between three people: Dr. Vicki O’Leary, AVAC Treasurer since 2001; Dr. Janet Knowlton, Newsletter Editor; and Marie-Ève Brunet, Administrative Assistant. As of March 2014, Dr. Linda Hamilton is the President of AVAC. AVAC will hold the 14th Annual General Meeting in 2015. AVAC will celebrate 17 years on May 14, 2015. A lot has happened since that glorious day in Montreal in 1998 when three young veterinarians officially signed the constitution of the Association des Veterinaires Acupuncteurs du Canada (AVAC). It all began three years earlier during the 21st IVAS annual conference, when Dr. Helaine Haltrecht suggested that the 23rd annual conference be hosted in Quebec. That’s how several daring veterinarians (Dr. Helaine Haltrecht, Dr. Genevieve Rosseel, Dr. Marie-Sophie Gilbert, and Dr. Boudewijn Claeys) found themselves assigned with the task of organizing the 23rd annual conference, which took place September 17—20, 1997 in St-Sauveur, Quebec. It was during this conference that 10 Canadian practitioners got together and agreed to create a Canadian association of veterinary acupuncturists; a project that was officially launched on May 14, 1998. The initial stages were not easy, but the founders’ youth and enthusiasm allowed for several projects to begin quickly and with only rudimentary means available to them. On July 28, 1999, the first scientific meeting was held in Calgary, Alberta on the subject of Cancer Therapy and Acupuncture. Dr. Cheryl Schwartz and Dr. Marlene Smith-Schalkwijk did the honour of kicking off what became a long line of important, relevant, and informative scientific meetings. The first edition of the AVAC Newsletter, a bilingual publication, came out in November 1999, the same year that AVAC officially launched its website. In 2000, AVAC adopted its official logo from an original design submitted by Dr. Elena Petrali. It was decided from the very beginning that AVAC would work in close collaboration with IVAS. In 2001, AVAC was privileged to once again host the annual IVAS conference; this time in Ottawa, Ontario. The first rotation of the presidency took place during AVAC’s fourth annual meeting in October 2002 in Kananaskis, Alberta, at which time Dr. Barbara Veale bravely took up the torch of presidency. AVAC was able to efficiently organize a basic course in veterinary acupuncture based on the IVAS training program. The first course in veterinary acupuncture organized by AVAC was launched on October 27, 1999 in Toronto, Ontario. Fifty-nine students (including 32 Canadians, 26 Americans, and one Italian) signed up for this course which would lead them directly to the IVAS certification exams on the weekend of April 8, 2000. The success of the initial course led to a second course launched in Vancouver, British Columbia on October 24, 2001, followed by several others afterward. Thus AVAC was able to grow thanks to the invaluable time, support, and effort provided by administrative collaborators such as Lise Dagenais, Mary-Ann Enthoven, and Marie-Eve Brunet. The purse strings were and continue to be closely guarded and managed by Dr. Vickie O’Leary. We are confident that AVAC will continue to be a long-living and successful association, marked with splendid future achievements to the benefit of its members.